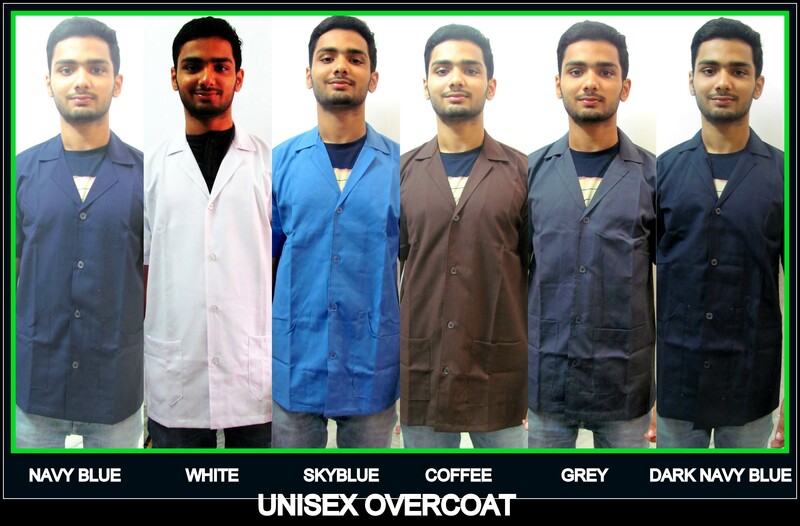 Lab coat suppliers in Chennai !! Are you looking out for Lab coat suppliers in Chennai ? Are you in need of White lab coats in Chennai ? Have you ever visited Godown street in Chennai and could not find the suitable lab coat that you required? 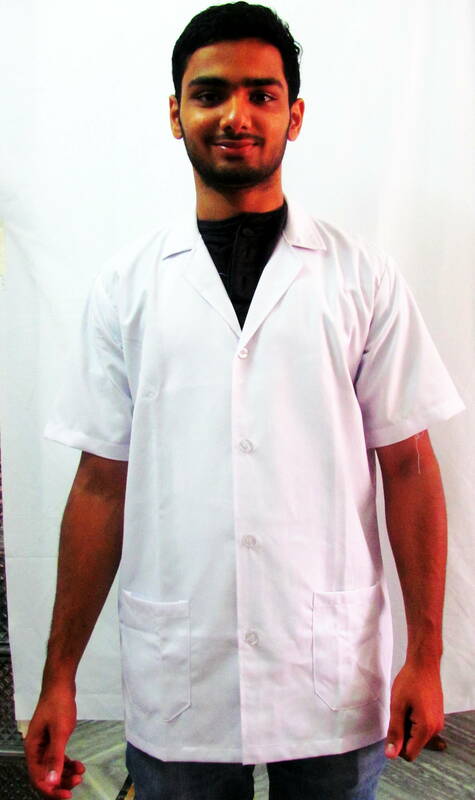 We at RSM uniforms have lab coats for you at a very nominal rate made from the best quality yarn material. 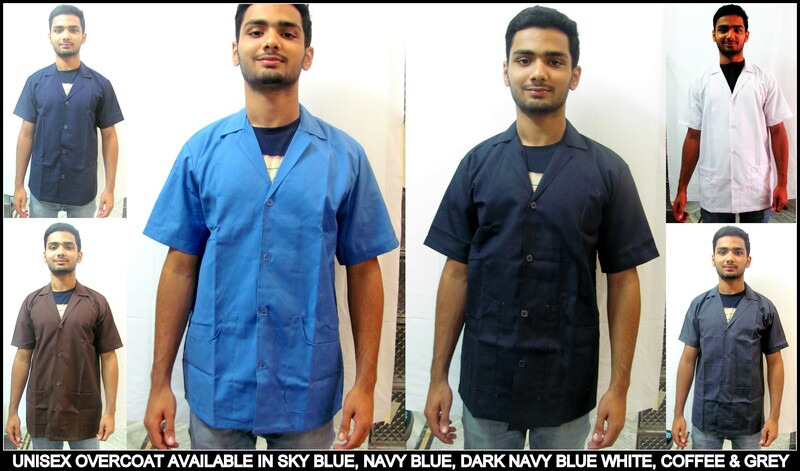 The lab coats are available in size 38, 40 and 42 and is soothing to wear in hot and humid Chennai weather. For bulk requirements of lab coats for your institution get in touch with us. We would be happy to help you. Readymade Aprons in Chennai !! 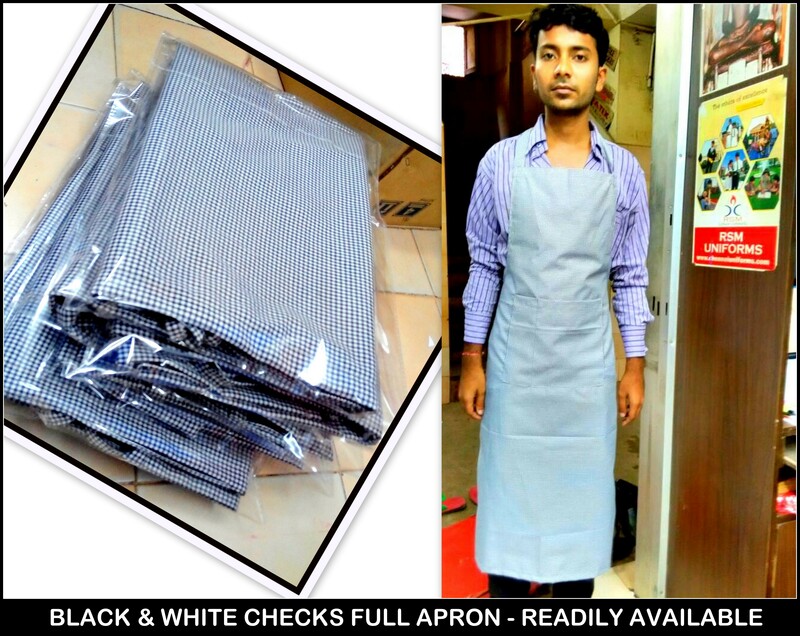 Are you need of black and white checks aprons for your company ? 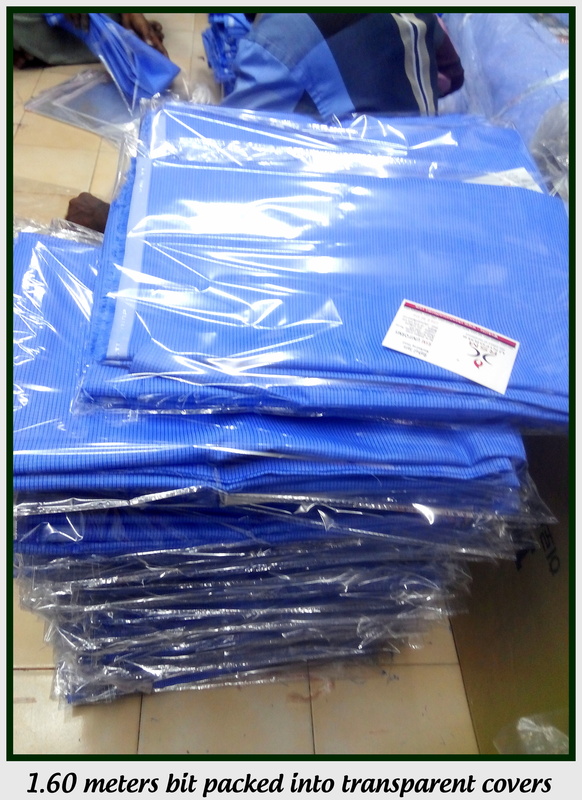 We at RSM Uniforms stock full length aprons in black and white thick cloth. 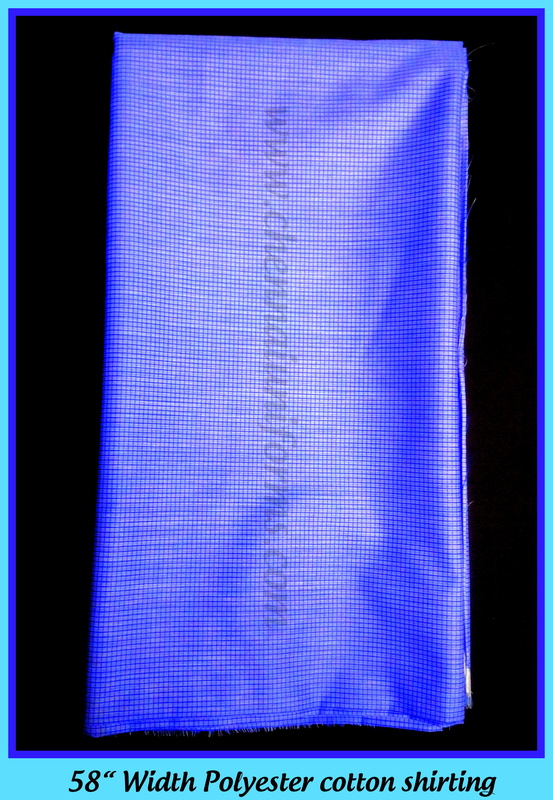 The fabric is terry cotton and stain free. 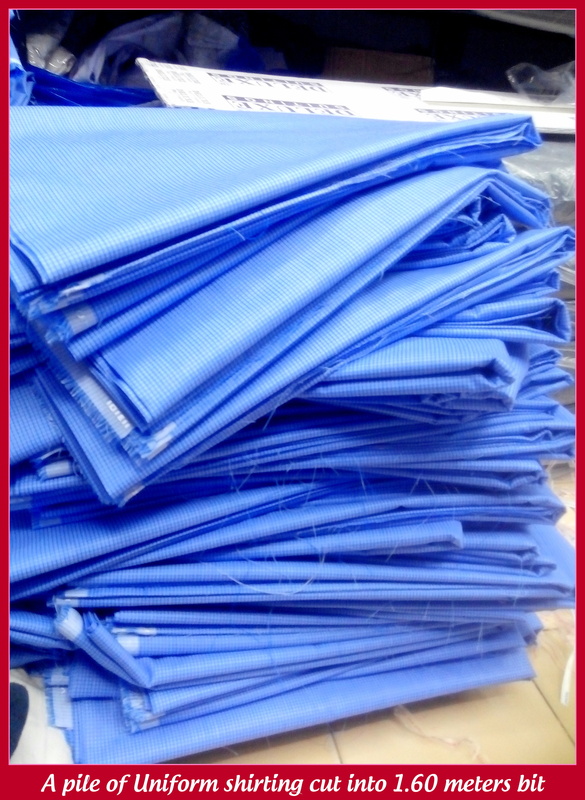 For more information on fabrics that are always ready with us please call us on 9176634635. We would be happy to help you. Top three Corporate Uniforms in Chennai !! Based out of experience and market research here we present the most frequently bought and liked Corporate uniforms in Chennai. As Chennai has become one of the major hub of automobile and corporate industries in India, people thrive for comfortable work wear and we at RSM Uniforms have been manufacturing and trading high performance work wear based on the requirements put forward to us. 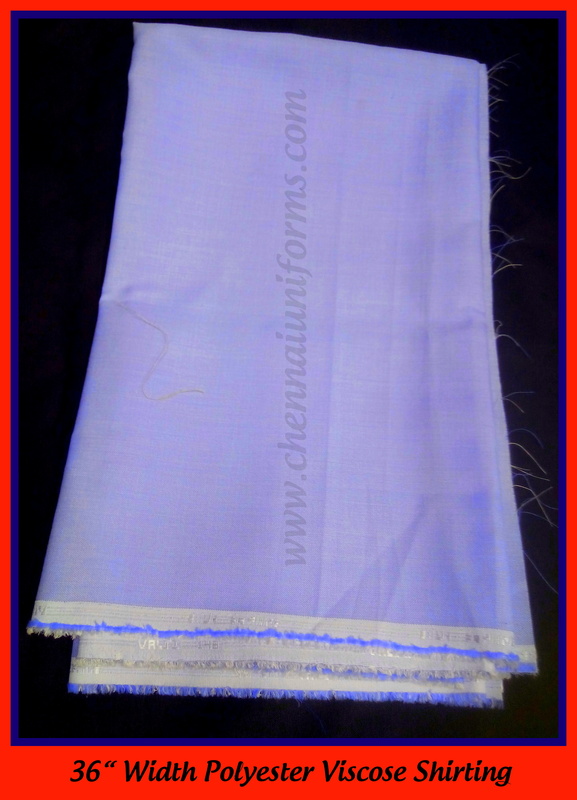 The major part of uniform fabrics that gets sold in Chennai are a blend of Polyester/Viscose and Polyester/Cotton. Corporates in Chennai do not prefer wearing a 100 % Cotton uniform shirt because of the durability and maintenance issues. Presenting here the top three uniforms that are majorly sold in Chennai. A blend of polyester and viscose put together in various proportions is a major hit in the market and shares almost 60 percent of Uniforms shirting sold in Chennai. Viscose is nothing but man made cotton that is more durable and when put in proper blend with polyester can be the most suitable performance work wear. The niche crowd and the top level executives in Chennai prefer wearing Polyester Cotton Shirting and it comes in various blend and mixture of Cotton and Polyester put together in 36 and 58 inches width. 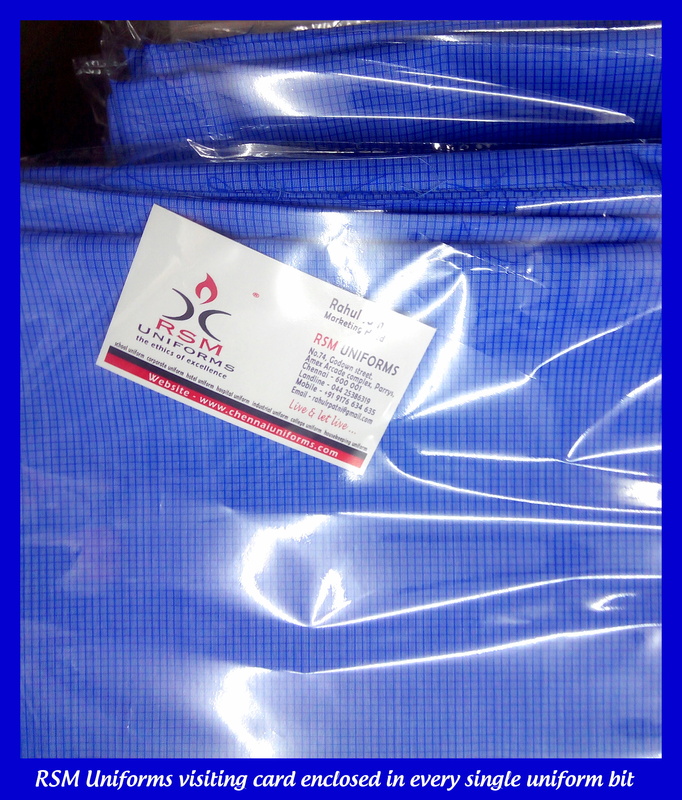 The polyester cotton shirting is expensive, more comfortable and mostly comes in 58 inches width.This is one of the most sought blend of shirting preferred for the extreme weather in Chennai. Based on the market research the most suitable trouser fabric for corporate uniforms is a blend of polyester viscose yarn. 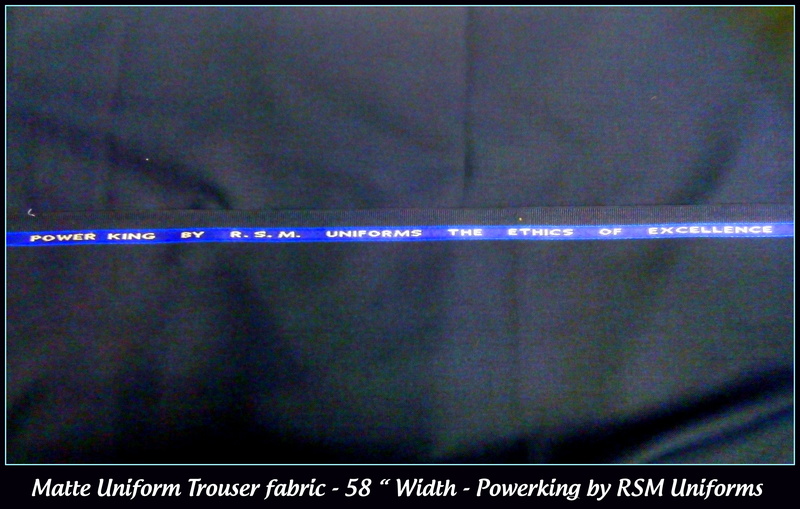 We manufacture the uniform trousers in the name of “Powerking by RSM Uniforms” and always stock with us a minimum of 5000 meters in assorted colors. The data we have provided here is solely based on our experience and based on the current market trend for uniforms in Chennai. For more information on Uniforms for your company get in touch with us at 9176634635. We can sell anything and everything related to quality based uniforms. Please feel free to get a quote from us now.